Four days after I finished, finally waking up from the dream that was “The Golem and the Jinni,” which I found as amazing as anything I’ve read in a long time, with its own fevered internal logic. Where else would a mythological Northern European Jewish creature meet a mythological Middle Eastern Arab creature, but in 1900 New York, where immigrants of every kind brush shoulders and start new lives? She’s female, sexually demure, made of clay and able to read minds. He’s male, sexually wild, made of fire and able to sculpt metal with his bare hands. Naturally, they fall in love, since they are apparently the only two nonhumans trying to pass as humans in all of New York, a bond that transcends their many differences. What I liked most was how subtly the love story was told, but there were so many things to like, it’s hard to settle on one. I liked how gradually and logically all the information we needed about the taxonomy of golems and jinnis was provided, without ever either leaving the reader wondering about something, or sounding like a textbook. (What class would that be for? Don’t ask.) I liked how a complicated mythological world is laid over a real historical setting, reminiscent of “Jonathan Strange and Mr. Norrell,” which this in some ways reminded me of. Like “Strange,” it’s a long, slow read, and like “Strange,” I wanted it never to end. I would have been happy to forsake all worldly obligations and just lie on the sofa lost in it, but alas. I mostly read it on the subway, wishing my commute longer. 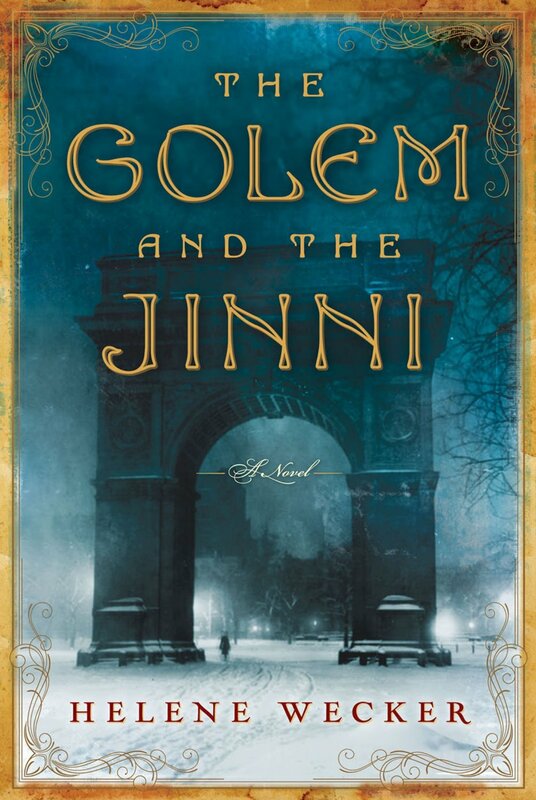 The Golem and the Jinni both offer, in their different ways, a examination of what it means to be human. What it means to have free will; what are the obligations we owe to others vs. those we owe to ourselves The writer makes them superhuman in certain respects, but unlike certain books — and there are lots of books I am thinking of, but I will choose only the fattest target, the “Twilight” series, since whatever I say about Stephenie Meyer is never going to hurt her feelings, or be noticed — the ambiguity and the pain of this is explored in a way that never felt cheap, or easy, or like a plot device. Their strangeness is inherent to who they are, and the plot flows logically from it. Having superpowers has a price: it takes constant vigilance to appear normal, and you are always at the risk of accidentally hurting someone. But that’s the human condition too: we are all striving to conceal the pain and strangeness we carry around inside ourselves; we all secretly fear that we are different, and wrong, and that no one will ever understand us. The Golem and the Jinni merely represent this in a more dramatic form. Passover approached, and the daily offerings at Radzin’s Bakery began to change from braided breads to flat matzos, rugelach to macaroons. But even with the Passover selections and wholesale orders, business at the bakery turned woefully thin. Since Mr. Radzin didn’t like his employees to appear idle, they had to work as slowly as they could, stretching each task to near-absurd lengths. For the Golem, it was like moving through glue. Minor annoyances magnified themselves: the jangling bell over the door, the shuffling and coughing of the customers. Their thoughts rang out in the silence, hopelessly monotonous and self-absorbed. After days like this, the long nights were a relief and a torture both. She was thrilled to be alone, but her accumulated tension had nowhere to go. She would’ve tried quiet exercise — once, casting about from boredom, she’d spent an hour lifting her desk above her head like a circus strongman — but she needed all her time for sewing. Anna had let it slip to the customers that the Golem was an excellent seamstress, and now the Golem was inundated with repairs. She kept the damaged clothing in a teetering stack in the corner until her landlady complained it was impossible to clean around –“and besides, Chava dear, this is a respectable boardinghouse, not a sweatshop.” She’d apologized and stuffed the clothing in her armoire. She sewed as quickly as possible, irked by the monotony. Why on earth couldn’t men keep their trousers whole? Why were they constantly losing their buttons? It’s totally seductive; I could read this kind of thing all day. But it’s a slow seduction; Wecker seems sometimes to be literally standing at arm’s length from her characters. And, though it’s a 484-page book, set more than 100 years in the past, there was only a single word in 484 pages that sent me to the dictionary. (“Eldritch,” for those of you keeping score at home) This is not a tribute to my great vocabulary; it’s a sign of certain deliberate choices on the writer’s part. It would be reasonable to expect more words about metalwork and Jewish religious practices and the desert and the immigrant experience, more sense of the strangeness conveyed through words. A curious absence, first almost imperceptible.